Crown Fine Art is a global, comprehensive logistics service. 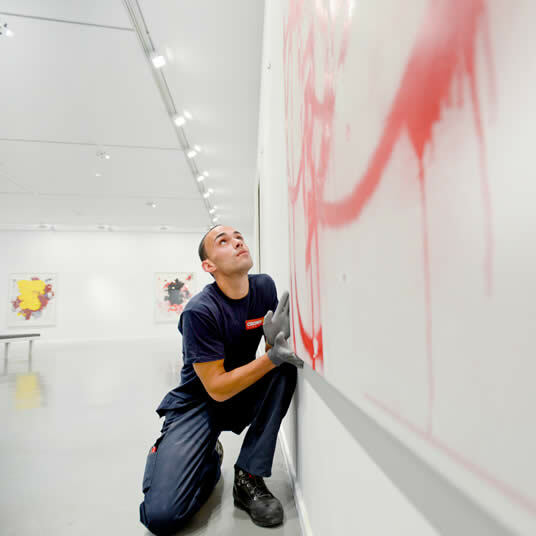 Crown Fine Art provides dedicated logistics services to museums, institutions, galleries, auction houses and private collectors. Coordinating touring exhibitions, transporting individual works or whole collections, while always providing the highest standards of care – transporting art safely around the world. From Crown owned operations in most of the world's major art centers, we are able to offer expert assistance, as well as the care and commitment required to handle the world’s most precious objects. At the heart of Crown Fine Art are specialists with a dedication and passion for the fine art business – everyone involved has the skills and experience to ensure the safety of the art in their care. We take a personal approach to every one of our projects.